Here are a few of the most interesting Drone Statistics and facts I was able to dig up. As always, be sure to check back in the future as I will be updating this post as new and updated stats become available. While unmanned aerial vehicles (drones) have been around in various incarnations for over a century, they have gained significant commercial momentum over the past year or so. Relegated to military activities and intelligence gathering until fairly recently, drones have taken off as toy and a hobby and were one of the hottest gifts this past holiday season. 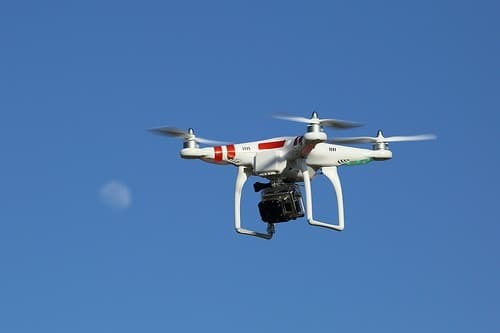 They have grown commercially so much that the US Federal Aviation Administration (FAA) has mandated registration of new drones. On December 20, 2018, a number of flights at London’s Gatwick Airport were delayed due to drone activity over the airfield. 30 Amazing Intel Facts and Statistics (2019) | By the Numbers Updated for January 2019. Here are the most interesting Intel statistics I have been able to dig up including revenue totals and more. Interesting Bose Statistics and Facts (2019) | By the Numbers More Bose statistics and facts than you will ever need to know including revenue and much more. Updated October 2018.